A Year of Being Here: Malena Mörling: "Visiting"
in the shapes of trees. than in what I can see with them. that grates breathe in the street. "Visiting" by Malena Mörling, from Ocean Avenue. © New Issues Poetry & Prose, 1999. 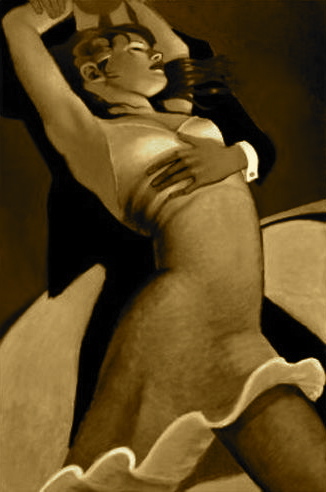 Image credit: "Scarlet Dancer," oil painting by Bill Brauer (originally color).